Are you looking for a dry stone specialist? One of the UK's premier dry stone walling contract companies, RLC Dry-Stone Walling Ltd should be your first port of call for your next project. With no job too large, we are able to source and supply a wide range of stone including sandstone and York stone. To discuss any ideas you may have, call today and let us take care of the rest. With a wide range of stone available, we can work on a large array of projects. 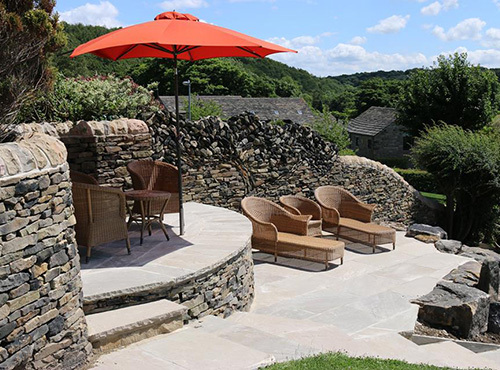 From a single dry stone wall to a grand scale property development, we are able to supply and install the finest dry stone walling. Whether you're looking to add a touch of class to your garden or increase the value of your home, a dry stone water feature could be the solution that you're looking for. 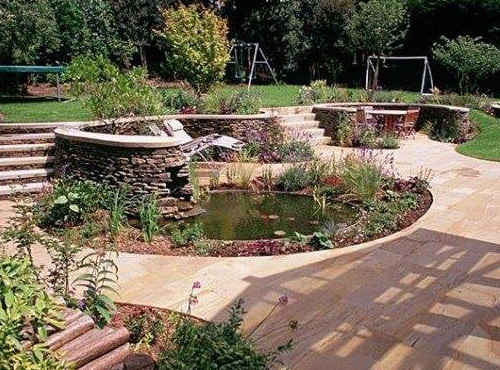 From pond design and construction to stone seats and waterfalls, we can provide you with a unique design to help transform the look and feel of your property. Offering a wide range of walling, paving and landscape services, RLC Dry-Stone Walling Ltd can help you create the perfect garden. Call today for further information or to discuss your ideas. Need to discuss your next dry stone project? Call Richard Clegg at RLC DRY-STONE WALLING LTD today!